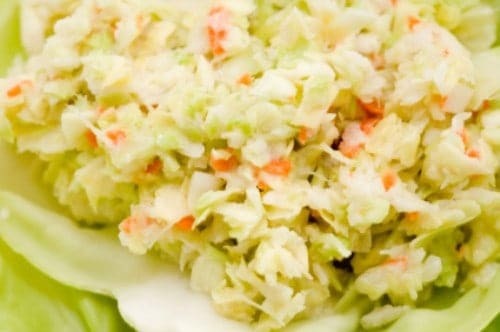 Frozen Cole Slaw is a great cole slaw that you can keeps in the freezer, and it tastes better and better. Add salt to cabbage, mix well and let stand for 1 hour. Then squeeze out thoroughly. Add carrot and bell pepper. While cabbage is standing make syrup of:Mix Vinegar, water, sugar and Celery seed and boil 1 minute. Let stand until lukewarm, and then pour over cabbage mixture and freeze. Identical to mom’s. We love it. I usually don’t freeze it, just mix up a big batch and keep ii in my frig. for a side dish. Thanks Scarlett I appreciate your comment. I am sorry this recipe wasn’t for you and your family.